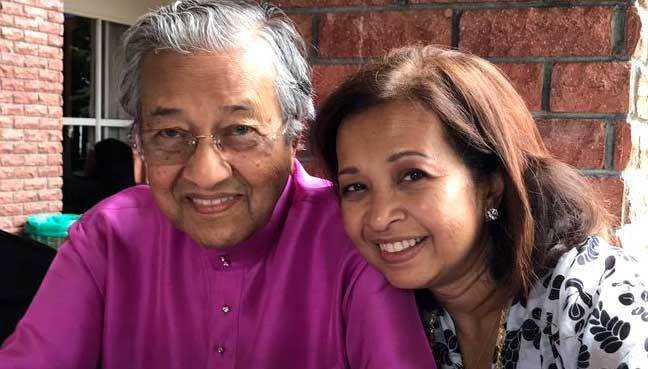 Datin Paduka Marina Mahathir has since said that awards and recognition have never been her father's goal. The Change.org petition started by Alexandria Abishegam on Saturday, 26 May, has received 88,824 of its 150,000 signatures target at the time of writing. According to The Straits Times, a similar signature campaign that sought to nominate Pakistani child activist Malala Yousafzai for the prize in 2012, garnering nearly 300,000 signatures, proved successful. Yousafzai was nominated in 2013 and was awarded the prize in 2014. 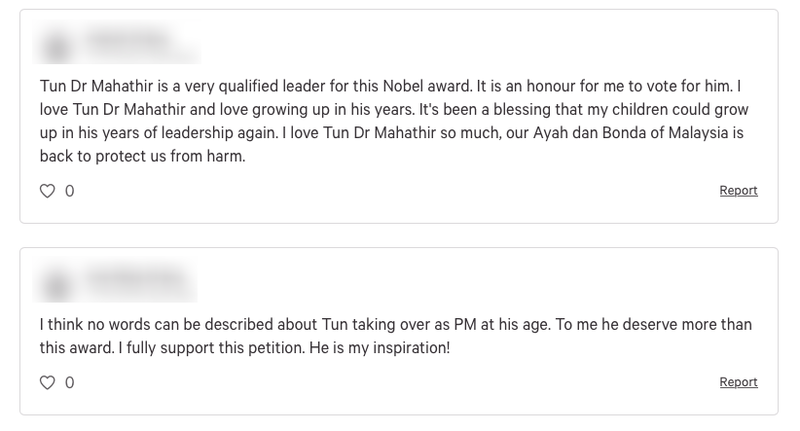 Calling Tun Dr Mahathir "the Nelson Mandela of Malaysia", the petition seeks a nomination in recognition of his determination at age 93 to return to politics and for "helming a peaceful transfer of power"
H.E. 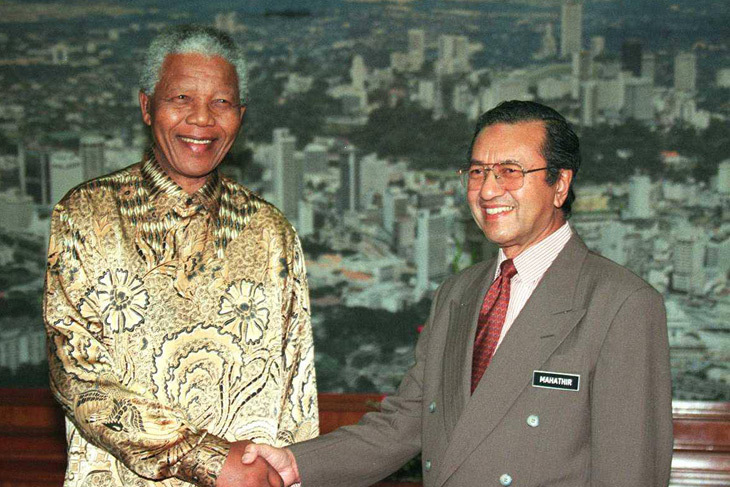 Nelson Mandela (left), former President of South Africa and Tun Dr Mahathir bin Mohamad (right) in 1997. 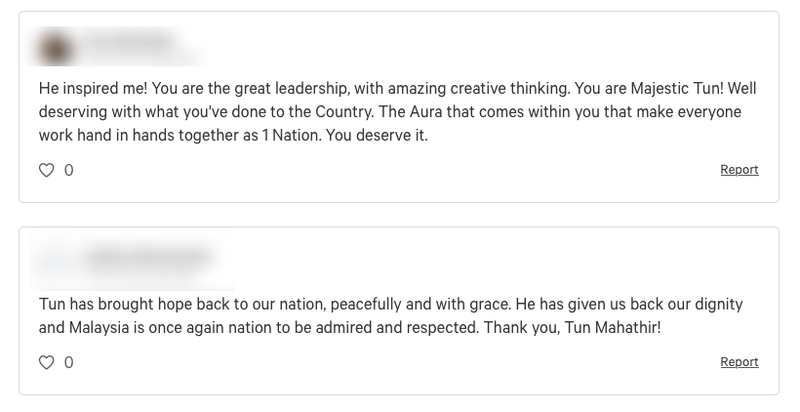 Abishegam wrote that, "Though all manner of underhanded 'tricks' were used to prevent a fair election, Tun Dr Mahathir inspired millions of voters - 'the ordinary rakyat (people)' - cutting across all racial & religious backgrounds to fight back by voting and speaking out in a peaceful and non-violent way." 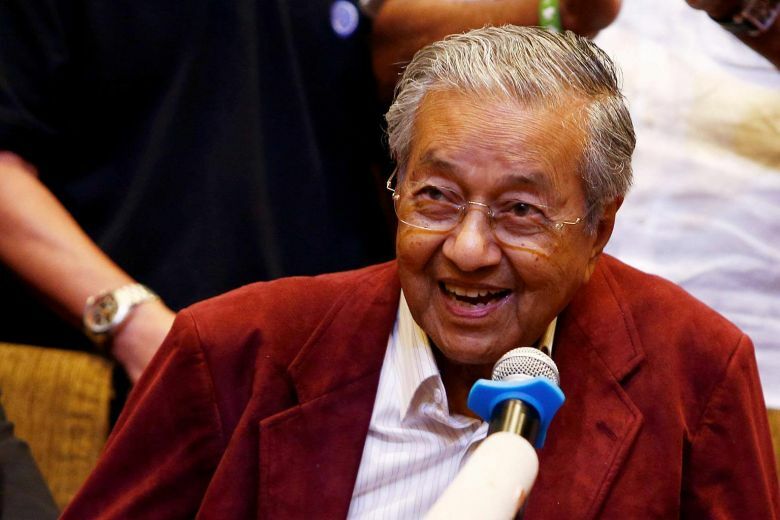 "The victory of the Tun Dr Mahathir led election victory displacing the ruling Barisan Nasional party after more than 60 years in power was not only stunning and historic but has brought with it a new dawn a 'Malaysia Baru' (new Malaysia)," she added. "It was really nice of them to do that but knowing my father, he is not one who works hard for an award or a recognition. So I don’t know what to say," said the social activist. "My dad says he doesn’t deserve such a thing," she told The Star. A student at Port Dickson Vocational College was found dead on Thursday, 24 May. A caller told the politician that he could see her underwear and breasts.